The Markhor has gained a solid foothold on the path to recovery thanks to community-based conservation efforts. To keep that spot high on the mountain will require continued support from organizations like SCI Foundation. SCI Foundation has been proud to assist sustainable hunting programs that have not only reversed the declining trend of the markhor, they also empower communities situated in the isolated alpine habitat. The Wildlife Conservation Society (WCS) in the Gilgit-Baltistan province of Pakistan has been working to develop and update Conservation and Development Plans (CDPs) for local conservancies for 20 years. This knowledge and experience also helped conservancies uncover their own sustainable financing mechanism to leverage resources gained from sustainable hunting programs. The goal of this project is to now venture into other areas with markhor populations and ultimately replicate their success. Originally called the New York Zoological Society, the Wildlife Conservation Society is headquartered in the Bronx Zoo in New York City. WCS is known around the world for science-based wildlife conservation, groundbreaking research, and for promoting sustainable-use. WCS has more than 30 years of experience in Pakistan, starting with the Mountain Monarchs survey in the 1970s. This initial study was aimed at surveying snow leopards, wild sheep, and wild goats in what was formerly known as the, “Northern Areas” (now Gilgit-Baltistan). In 1997, the WCS Pakistan Program Office in Gilgit-Baltistan opened and assisted in the forming of 65 community level governance institutions while training and deploying 130 community rangers. It was during these 20 years since 1997 that markhor rebounded from IUCN’s Red List as Endangered to the sustainable harvest of 12 markhor during the 2017-2018 hunting season. 80% of all proceeds from the permits (ranging in price from $62,000 – $100,000) went directly back to the local community for conservation and economic development. SCI Foundation’s primary role in this project is to direct how newer conservancies, or those who lack clear guidelines and mechanisms, leverage capital raised from sustainable harvest. The funds, also known as Conservation and Development Funds, are then expected to fully support the communities and their conservation activities. SCI Foundation’s support also goes to ensuring all conservancies attend frequent meetings and training, while keeping the lines of communication open between WCS and the local conservancy. Each community must execute their responsibilities, integrate bylaws, and train office holders in accounting and management. Local villagers will also be educated by enhancing their traditional knowledge of the ecosystem, culture, and future economy while learning technical knowledge from WCS’s experts. It is wide-spread knowledge about everything from disease, grazing, logging, and poaching that created success in Pakistan for the past 20 years. In northern Pakistan, where rule of law is limited and most of the population lives in extremely rural areas, good governance goes a long way. WCS plans to open a satellite office in Islamabad, 100 miles south of the initial 19 conservancies, to replicate the same system of good governance that has uplifted the communities and ultimately, the markhor. In a region famous for the tallest mountains on earth, glaciers, and the Karakoram highway, the greatest stronghold for markhor will soon be added to that list. 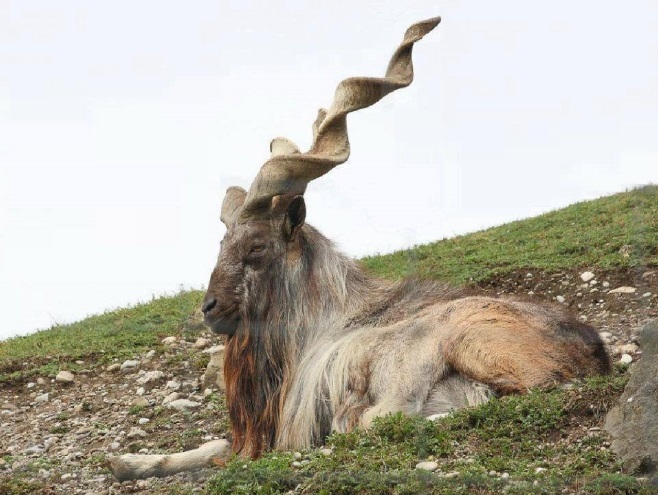 Rural communities will benefit economically and by increased stability and security, all thanks to the king of the highland, the mountain monarch, the markhor.